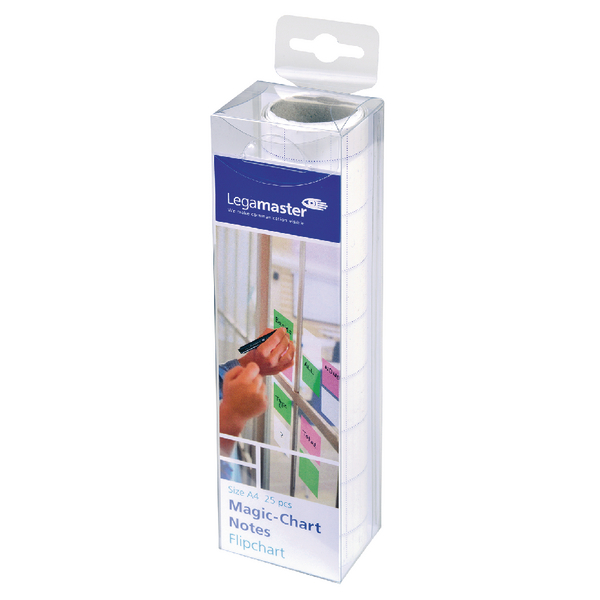 Legamaster Magic Chart A4 Roll 20x30cm Gridded 7-159000-A4 – ED08126 – OfficeYoo! These innovative notes use static to cling to any flat surface in order to create an instant writing surface. Sticking easy and smoothly without glue, they are suitable for use with permanent markers. Presented in a grid design, they are supplied on an A4 roll of 25 sheets.